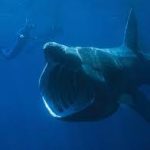 It is Easter week, and it just so happens that we are looking at Jonah 1:17 today, in which we read that Jonah spent three days in the belly of a fish. 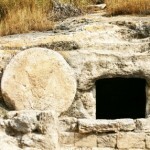 In Matthew 12:40, Jesus uses this event to talk about how He will spend three days in the grave. 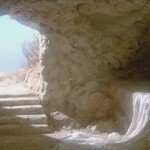 If Jesus did not rise from the dead, probably most of Christianity is a lie. We could probably hold on to the idea of God, and some of the historical events in the Bible, but beyond that, most of it would probably not be true. Jesus did not mind it when His disciples doubted Him. He loved them anyway and called them to serve others. He knew that if they followed Him, they could learn about Him while they were in the midst of loving and serving others. If you doubt, do not fear. Jesus loves you and wants to walk with you in loving others. The two little words ‘and Peter’ tell us something important about Jesus, sin, and forgiveness. All of us feel at times that we have done something so horrible, there is no way God could love us forgive us. Peter betrayed Jesus also, and Jesus forgive Him. So Jesus also forgives you and me. The resurrection of Jesus is not only the answer, it is also the catalyst, or the springboard, by which God intends to make you and I the answer. Resurrection shows that the death of Jesus was not a shameful defeat, but was a glorious victory over all the forces of evil, over sin, death, and the devil. While the resurrection of Jesus is about God making eternal life available to those who believe in Him for it, this is only a tiny scratch in the surface of what the resurrection is really about. 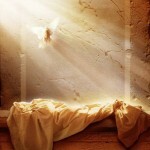 The resurrection is primarily about exactly what I was looking for: help with living my life here and now. 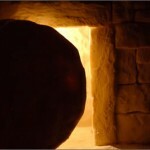 Does the Resurrection of Jesus Prove He is God? 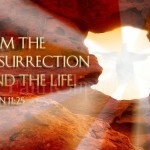 The resurrection of Jesus by itself does not mean that Jesus was God, but is one link in the chain that gets us there. Eventually you can get to the divinity of Jesus from the resurrection of Jesus, but it is a little less straightforward than most suppose. The early Christians who wrote about the resurrection of Jesus did not invent these stories. That is not one of the historical options open to us. If they had really wanted to “invent” stories which declared Jesus as the Messiah, these are not the stories they would have invented. What is more important? Christmas or Easter? Most of us don’t get nearly as excited about the resurrection of Jesus at Easter as we do for the virgin birth of Jesus at Christmas. When we compare and contrast Christmas and Easter, our celebration of both does not match the relative importance of each in Scripture.